Since 2003, ABC Mathematics provides workbooks to schools all over South Africa. Since 2007, the content of the workbooks have been compiled in a compact textbook. We always strive to deliver the best –therefore the books are updated frequently and new products are added each year. 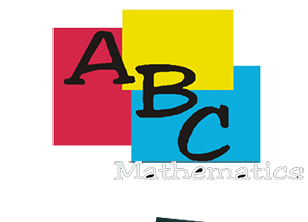 ABC Mathematics is a series of workbooks and textbooks. All books are CAPS compliant. The content of the workbooks and textbooks are exactly the same – only the format differs. The workbooks are unique in the sense that the left hand side pages are open linear for extra examples, info, corrections etc – see the products page. Our products are also available as eBooks.